There are two realities in the forestry sector in Indonesia. In one, the forests continue to be destroyed, peatswamps are drained, forests are logged, burned and replaced by industrial tree plantations. Indigenous Peoples’ and local communities’ rights are bulldozed along with the forests. Meanwhile, in the other reality, trees are planted, forests are restored and greenhouse gas emissions will soon become a thing of the past. Occasionally, these two realities collide. In December 2009, Cornelis, the Governor of West Kalimantan, was giving a speech about the government’s “One Man, One Tree” campaign, but was repeatedly interrupted by the noise of logging trucks loaded with newly logged timber on the nearby Trans-Kalimantan highway. “I’m making a speech about the tree-planting movement and a truck carrying piles of timber passes by,” the Jakarta Globe reported him as saying. “If we ask the drivers, I don’t think they will have permits,” he added. After four trucks had interrupted him, Cornelis asked the police to stop any more logging trucks for driving past. Just until he finished his speech. In September 2009, Indonesia’s President, Susilo Bambang Yudhoyono, told a G-20 summit in the USA that Indonesia “will change the status of our forests from that of a net emitter sector to a net sink sector by 2030.” He also announced that Indonesia planned to cut its emissions by 26 per cent against business as usual by 2020. Yudhoyono repeated the 26 per cent target during the climate negotiations in Copenhagen. “During the talks Indonesia said that it was seriously committed to reducing carbon emissions by 26 percent by 2020, however, the President lied about his seriousness,” Walhi’s forest campaigner, Teguh Surya, told the Jakarta Post. As Indonesia’s forests burn, the government is looking forward to massive expansions in the oil palm and pulp and paper industries: the two industries directly and indirectly responsible for many of the fires. There are plans for 20 million hectares of new oil palm plantations and nine million hectares of new pulpwood plantations. And the Forestry Ministry plans to hand over 2.2 million hectares of forest to mining companies over the next ten years. Bad as all this is, things could soon get much worse. 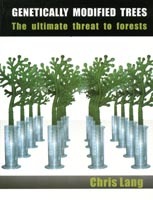 On 6 January 2010, Zulkifli Hasan, Indonesia’s Forestry Minister, revealed the government’s cunning plan for meeting its emissions target: 21 million hectares of “new forest”. “If the scenario described proceeds, if the planting proceeds, we can reach more than 26 percent,” Hasan told journalists in Jakarta. An area of 500,000 hectares is to be planted each year, at a cost of US$269 million. Of course, the 21 million hectares of “new forest” will not be forest at all. It will be plantations. That’s 20 million hectares of oil palm plantations, nine million hectares of pulpwood plantations and 21 million hectares of carbon plantations. 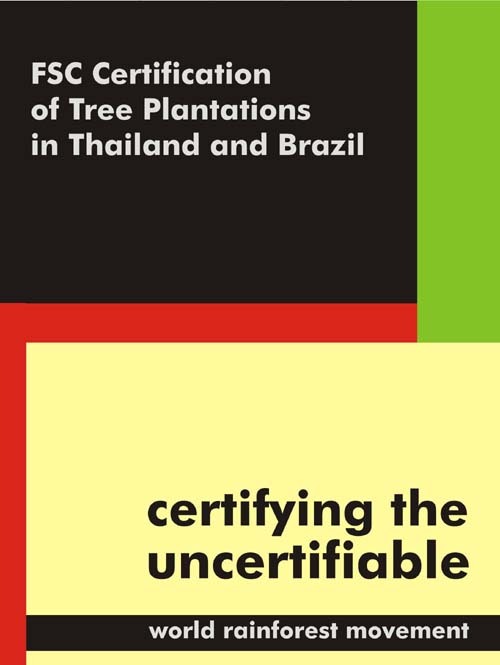 A total of 50 million hectares of proposed plantations. 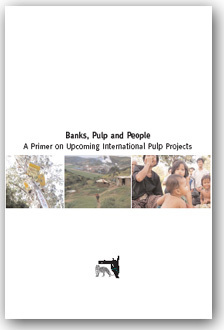 Indonesia has an appalling record of corruption and fraud associated with plans to promote plantations. A report published recently by the Centre for International Forestry Research (CIFOR) looks in detail at the Indonesian government’s Reforestation Fund, which started in 1989 under the Soeharto dictatorship. Much of the money went to companies with close ties to political elites. The companies cleared forest, lied about the area planted, invested little in the area and pocketed the cash. 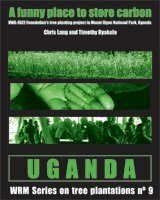 A 1999 audit by Ernst and Young found that more than US$5 billion was lost from the reforestation fund between 1993 and 1998. The audit was not released publicly. The Indonesian government’s enthusiasm for REDD provides another example of two realities existing in parallel. In the fake reality of REDD proponents, corruption will disappear. Palm oil and pulp and paper companies will be paid not to destroy an area of forest without using the money to expand their destructive operations elsewhere. By putting a price on carbon, forests will be worth more standing than logged – that’s the theory. But for this to work, the price of carbon offsets will have to be higher than the price of palm oil. This is extremely unlikely to happen (and impossible to predict) over the lifetime of a REDD project. What is certain is that deforestation will continue as long as the government encourages the expansion of the industries responsible for destructing the forests. 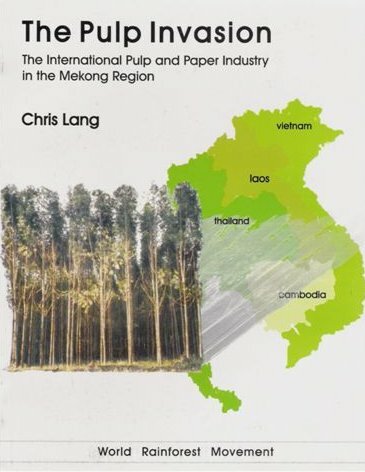 CORRECTION (3 February 2010): I was guilty of exaggeration here – I wrote that Indonesia was planning 10 million hectares of new pulpwood plantations. I’ve changed this to nine million hectares. thats the misunderstanding obout the concept of the forest and plantation from the government or whether it was the weakness of the government to control plantation mafia or …..many other weakness of indonesian government. We are extremely worried about the situation of claiming plantations as forests to meet the Govts’ claims of reducing their emissions by 26%. A plantation is a flat piece of land where the forests have been destroyed in the name of the Great God Profit. 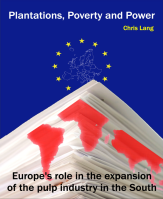 Plantations are where forests have been converted for palm oil plantations to ‘feed’ the world and traffic, to meet the EUs’ biofuel targets and pulp and paper mills. The evidence is blatantly obvious. so there’s no way to substantiate the Govts’ claims about reducing CO2 by 26%. A market has to be established where it is more profitable to keep the forests and harvest them than to just convert them to palm oil and pulp and paper mills. It is also wiser to keep the forests as they provide pure water and the soil is fertile and the healthy vitality is kept in perpetuity. This planet cannot be treated as a mere commodity, it is God’s planet, and we are entrusted with it, we are its stewards. Please change your designation so that it is illegal to classify plantations as forests. Forests are forests with trees, plantations are plantations with palm oil, and pulp and paper mills. This is for future generations of Indonesians. Thanks Stephanie. You might be interested in this article on REDD-Monitor: “Why a price on carbon will not stop deforestation“. The Indonesian Forestry Ministry is currently drafting legislation to change the classification of oil palm plantations to “forest”. Several Indonesian NGOs are protesting about this. See this article in the Jakarta Post: “Plantation inclusion will ‘kill forests’“.